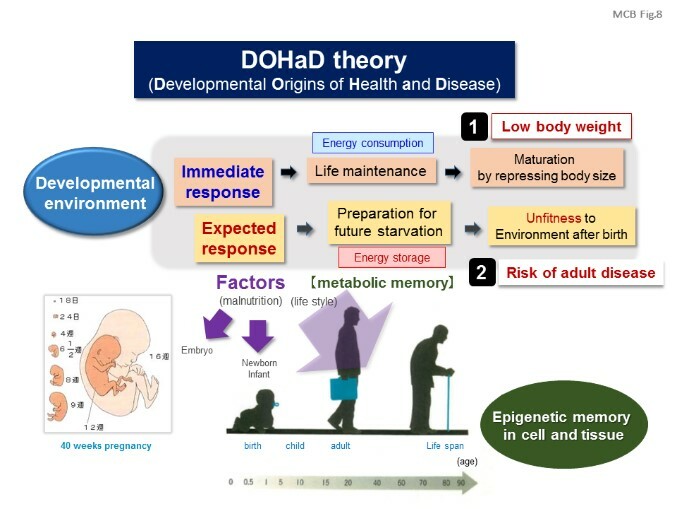 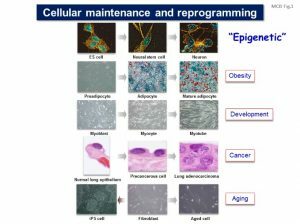 Our laboratory is studying the molecular basis of epigenetic cell regulation in development and human diseases. 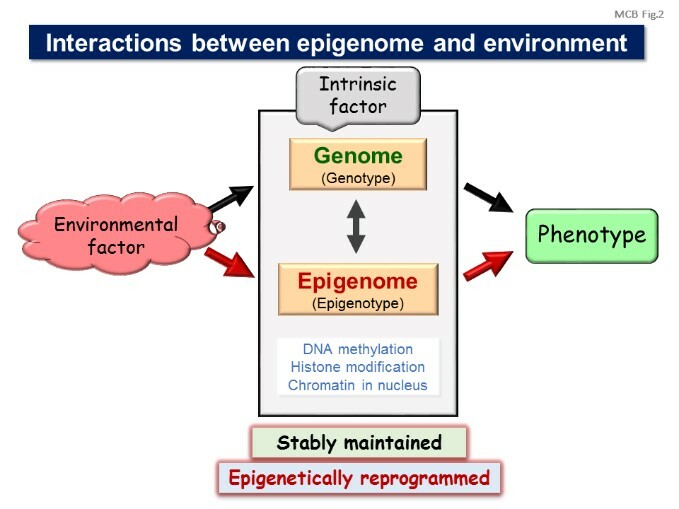 The term epigenetic is defined as “heritable changes in gene expression that occur without a change in DNA sequence”. 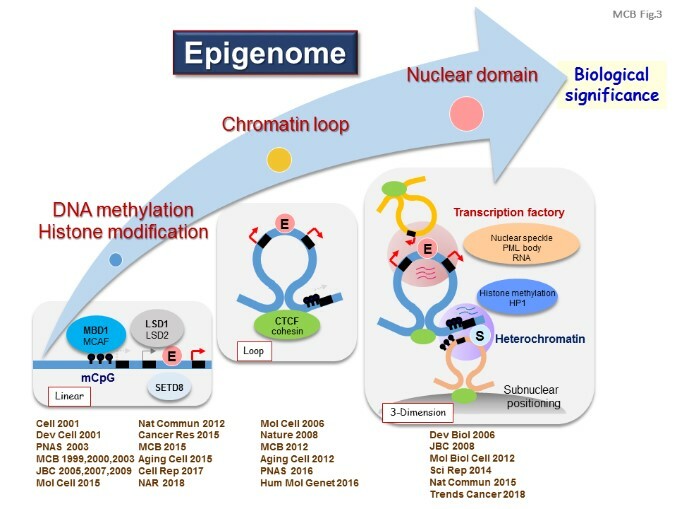 Epigenetic regulation may include cytosine methylation, histone modification, chromatin formation, and nuclear structure. 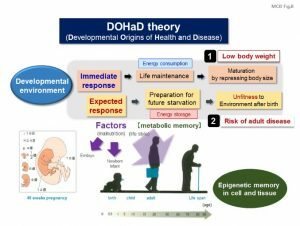 Methylated DNA is specifically recognized by a set of proteins called methylated DNA-binding proteins, which belong to three different families in mammals: the MBD proteins, the zinc finger (Kaiso) proteins, and the SRA (UHRF) domain proteins. Once bound to methylated DNA, these proteins translate the DNA methylation signal into appropriate functional states, through interactions with various partners. 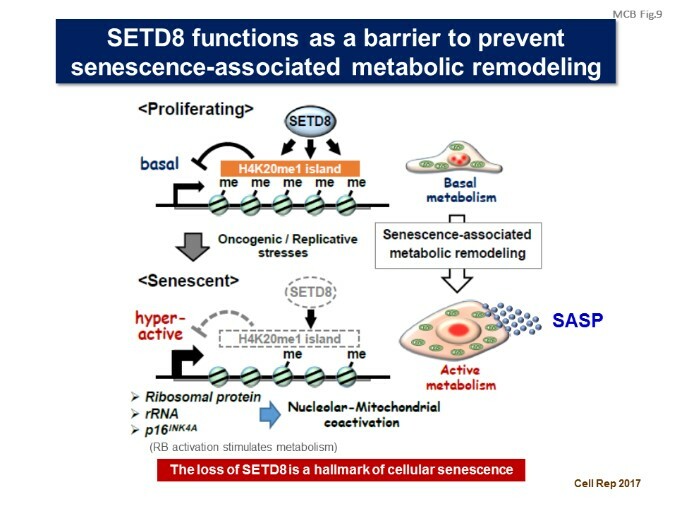 We investigated the function of MBD1 and found MBD1-containing chromatin-associated factor (MCAF), also known as ATFa-associated modulator (AM) and activating transcription factor 7-interacting protein (ATF7IP), which mediates gene regulation (Cell, 2001; MCB, 2003). 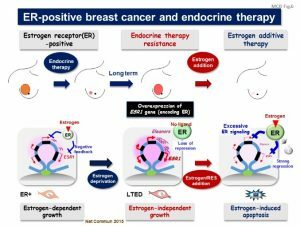 Estrogen receptor-α (ER)-positive breast cancer cells undergo hormone-independent proliferation after deprivation of estrogen, leading to endocrine therapy resistance. 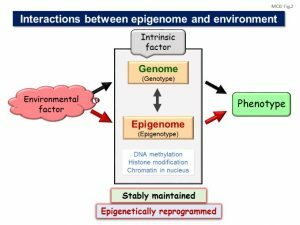 Up-regulation of the ER gene (ESR1) is critical for this process, but the underlying mechanisms remain unclear. 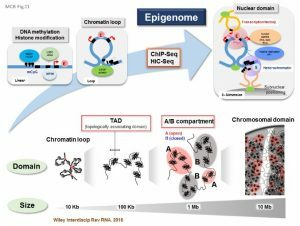 Recently, the combination of transcriptome and fluorescence in situ hybridization analyses revealed that estrogen deprivation induced a cluster of non-coding RNAs that defined a large chromatin domain containing the ESR1 locus. 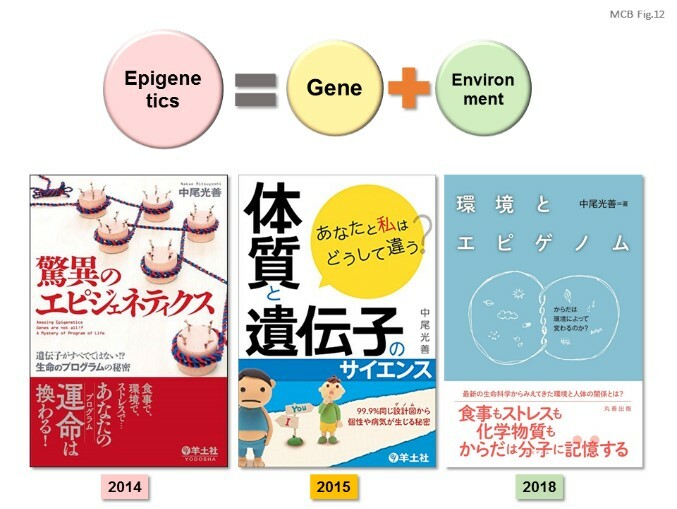 We named these RNAs as Eleanors (ESR1 locus enhancing and activating non-coding RNAs) (Nat Commun, 2012). 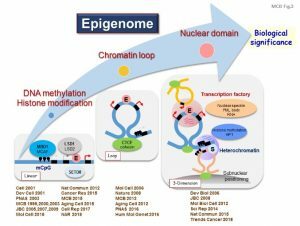 Eleanors were present in ER-positive breast cancer tissues and localized at the transcriptionally active ESR1 locus to form characteristic RNA foci. 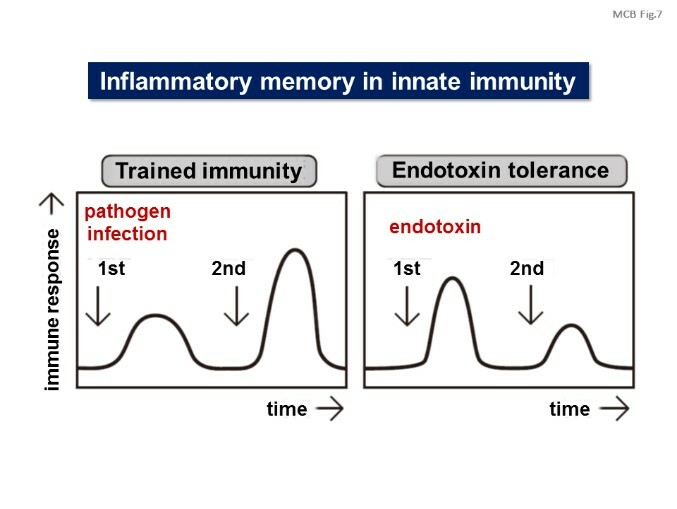 Depletion of one of Eleanors, upstream (u)-Eleanor, impaired cell growth and transcription of intragenic Eleanors and ESR1 mRNA, indicating that Eleanors cis-activate the ESR1 gene. Furthermore, resveratrol, a kind of polyphenol, was found to repress these RNAs and inhibit the proliferative activity of breast cancer cells which had acquired estrogen-independent growth. 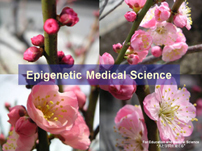 Thus, Eleanors-mediated gene activation plays an essential role in the adaptation of breast cancer cells. 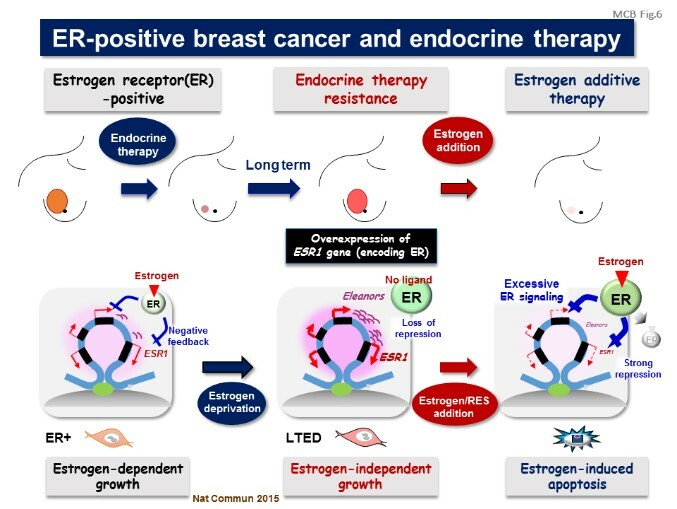 We clinically discuss diagnostic and therapeutic targets for endocrine therapy-resistant breast cancer (Trends Cancer, 2018). We further investigated the effects of tumor necrosis factor (TNF) signaling on spatiotemporal enhancer-promoter interactions in the human tumor necrosis factor (TNF)/lymphotoxin (LT) gene locus, mediated by CTCF-dependent chromatin insulators (MCB, 2012). 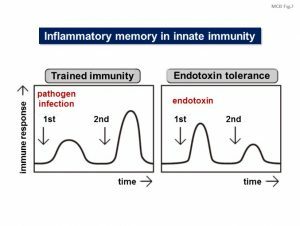 The cytokine genes LTα, TNF, and LTβ are differentially regulated by NF-κB signaling in inflammatory and oncogenic responses. 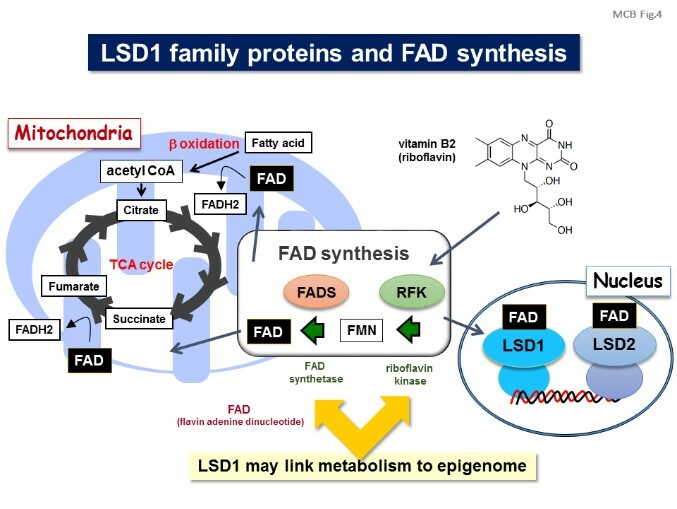 We identified at least four CTCF-enriched sites with enhancer-blocking activities and a TNF-responsive TE2 enhancer in the TNF/LT locus. 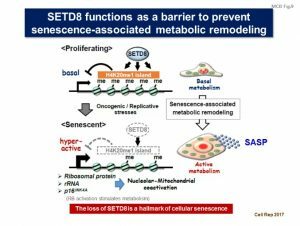 The insulators mediate the spatiotemporal control of enhancer-promoter associations in the TNF/LT gene cluster. 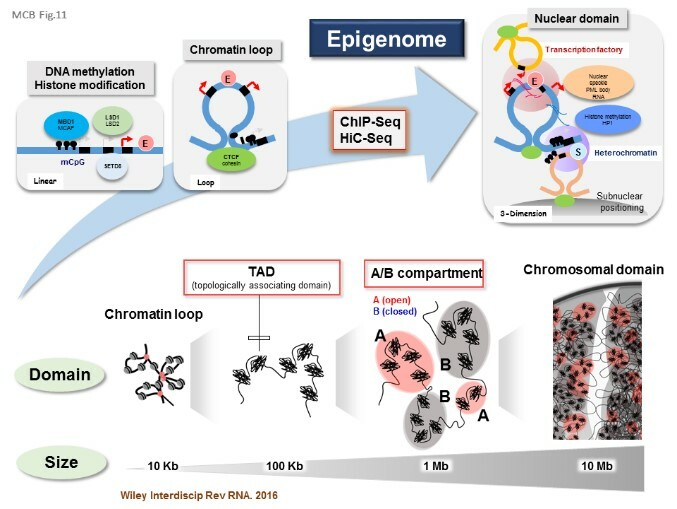 The INK4/ARF locus encodes p15INK4b, ARF, and p16INK4a genes in human chromosome 9p21, the products of which are known as common key reprogramming regulators. 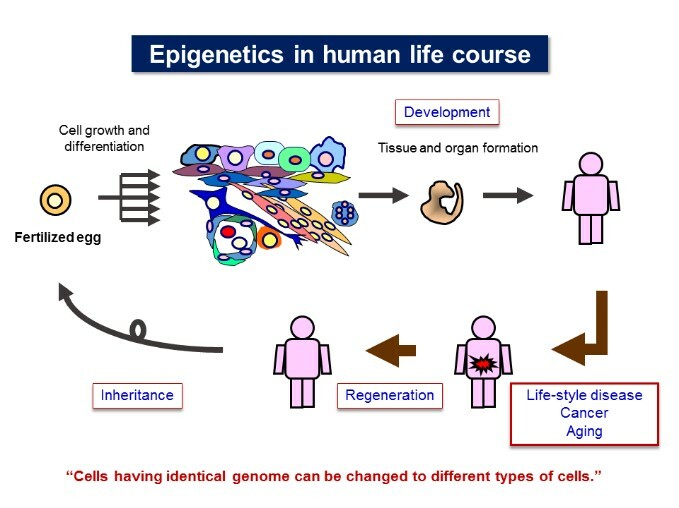 Compared with growing fibroblasts, CTCF is remarkably up-regulated in iPS cells with silencing of the three genes in the locus and is reversely down-regulated in senescent cells with high expression of p15INK4b and p16INK4a genes. 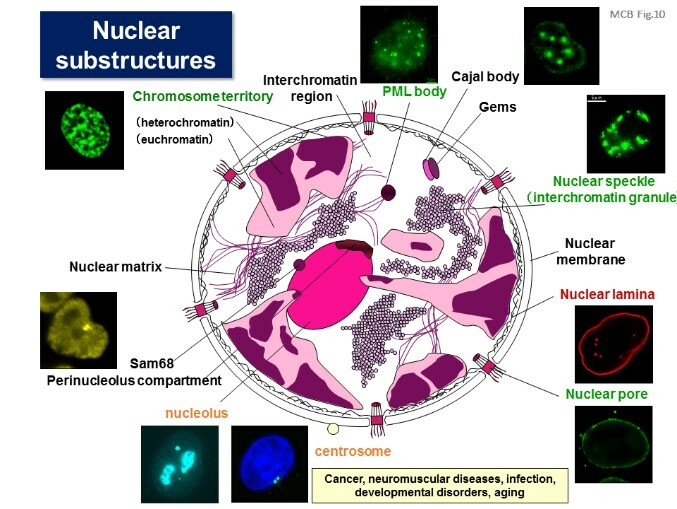 There are at least three CTCF-enriched sites in the INK4/ARF locus, which possess chromatin loop-forming activities. 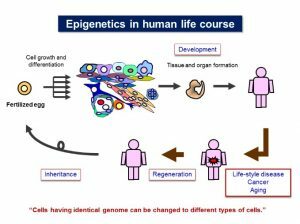 These results suggest that senescent cells have distinct higher-order chromatin signature in the INK4/ARF locus (Aging Cell, 2012). 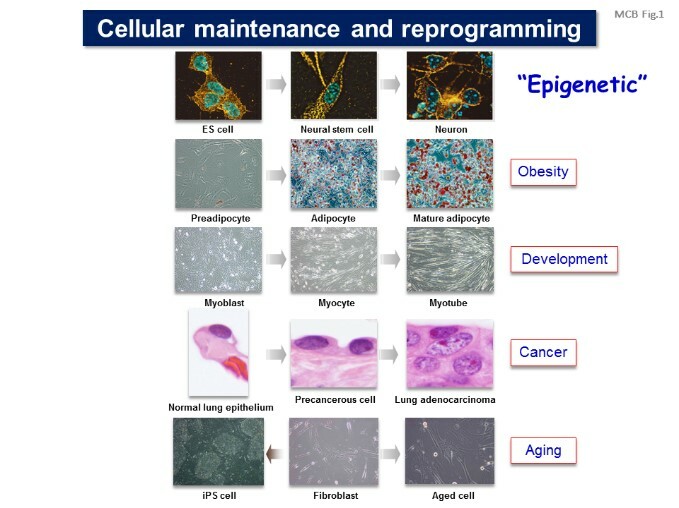 Based on our recent progresses, MCAF1 can be used for diagnostic and therapeutic agents in human cancers, since this protein is highly expressed in a variety of cancers. 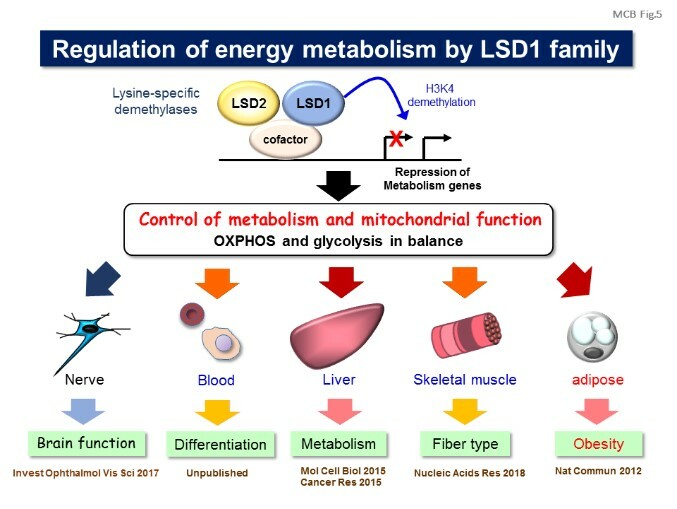 We then found that the loss of LSD1 function either by siRNAs or by selective inhibitors in adipocytes induces a number of regulators of energy expenditure and mitochondrial metabolism resulting in the activation of mitochondrial respiration. 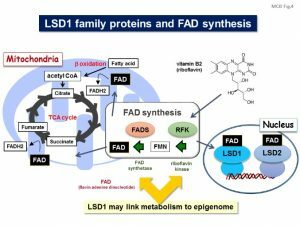 In the adipose tissues from high fat diet-fed mice, expression of LSD1-target genes was reduced compared with that in normal-diet mice, which can be reverted by suppressing LSD1 function.